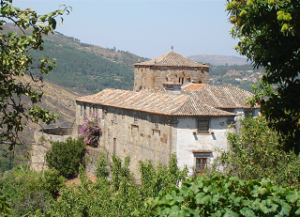 on-line libraries sharing « Blog Marcos L. Mucheroni Philosophy, Noosphere and Ciberculture. 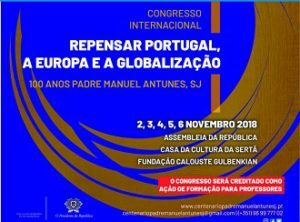 Before rethinking the state, Antunes departs from Portugal, after delineating in the first pages the identity and fragilities of the people, without leaving the chauvinism or isolationism that was characteristic of a post-colonial period, says the thinker: “It is easy to on paper dozens and dozens of political parties. It is easy to make ideological proclamations as if they contain the ultimate and ultimate truth. It is easy to point out programs, innumerable and ideal, but that do not bite in the real “(Antunes, 2011, 38), highlights them once and for all. It is going to rethink the Portuguese state, as it says “leaving the country we are”, not being possible to put aside: “our most serious problems: the Overseas, the emigration, the multiple delays that affect us in the political, social, economic, scientific, technological and cultural “(ibid., 38), stating that” for fifty years we lived in the hypertrophy of the State “, and this is valid not only in Europe but also in many state models contemporaries. After parading the functions of the state, it will develop two lines of reflection on two opposing models: “a great line of cleavage rises before us: that separates the monopolist state from the pluralist state” (page 42), in which Brazil will also learn the lesson. He says of the first: “radically centralizing, bureaucratic, jurisdictional and, at least, totalitarian,” he says of the lesson learned on May 25, that not even his supporters wanted to defend him, it may be said that he was already dead. The second is: “the second radically decentralizing, taking the nation and society as they are with their inter vivos bodies truly alive, their social strata organizing themselves in the way that suits them and leaving to the free play of the market” , seems better and less bureaucratic, but “between these two extremes lies a wide range in which various combinations are possible” (page 43) is where he develops his ideas. more in accordance with its nature of being intelligent and free “(idem). He then asks whether Portugal wants to live in this temperate zone, where the “ideological-affective principle of freedom, equality and fraternity, constantly in a critical review instance in its concrete applications and not reduced to an empty slogan or mere rhetorical discourse without content” which in many places gave rise not only to democratic discredit, but mainly. The entrance of my study environment in Portugal, I came across a poster that said a conference about Father Manuel Antunes: Portugal, Europe and Globalization, the words were exactly these, but at a glance a book comes to mind Web to understand a little more of Portugal: “Rethinking Portugal” (see the pdf), later I know that there is a book of the publishing house Bertrand with this name, published in 2017. I also review my preconceptions, of the one that I had of our mother country, not only because they arrived in Brazil, but also because they gave us the imperial rulers, D. João VI who migrated and established the crown there, D. Pedro I Portugal, D. Pedro IV) and his eldest daughter born in São Cristóvão, D. Maria II who gives name to the theater and some places in Portugal. The initial reading, without any experience in Portugal, was from an isolated country, a little shy, and the text of Father Manuel Antunes confirmed, reads at the beginning of Repensar Portugal: “the possibility of the end of international isolation, that” proudly “which is the very contradiction of the world in which we live” (Antunes, 2011, 35), where he can already read the universal, this original work is from 1979, five years after the Carnation Revolution. In speaking of the Revolução dos Cravos (Carnation Revolution), which ended the Salazarist era, Father Antunes said: “Carnation of May, the fraternization of the People and the Armed Forces, of collective enthusiasm, of a certain unfeigned brotherhood, of a vast availability to openness, of a sometimes candid and broad, spontaneity ” (ibid., p. 35). 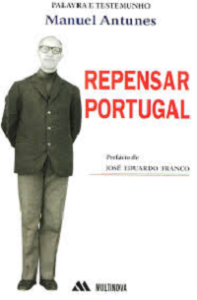 At first religious curiosity moved me, thinking of the sermons of Father António Vieira, but beyond the scholarly thought, it was from this reading that I understood that I should know six essential dates for Portugal, the Carnation Revolution (1974) and: 1385, 1640, 1820 , 1910 and 1926. At the beginning, in search of a Portuguese identity, without chauvinism, without messianism and without isolationism, he sees it as a “paradoxical living country of the strangest that the memory of men knows” (page 36), with many exceptions: a colonial empire that was so wide (Portugal was the first empire of the modern era of Macao, Goa to Africa and Brazil), except for how it carried out its political revolution (the left as it is normal), it was the armed forces themselves that demolished the State and exile members of outlawed parties. He asked at the time, paralleling the year of the liberal revolution of 1820 (made by the crown), “Preface to the Constitutional Cortes of the same year. Will it follow 1823? ” (Page 37). He says in his work that defining a Portuguese identity, after saying that they made several imitations (1820, Spain, 1834, England, 1910 Jacobin France with the Regicide and 1926 fascist Italy), it was with the assassination of the King Carlos I and the heir who became the republic. But it emphasizes peculiar traits in the Portuguese town: “Mystical people but little metaphysical; lyric but not gregarious people; active but not very organized people; empirical people, but little pragmatic “(idem) and emphasize the most essential feature that differs from all of Europe:” coexistent people, but easily segregable by the arts of those who lead or propose (ibid. ), but the privacy reserved as every European is pleasurable and joyful different from all of Europe and part of the world where indifference already prevails. not know how to do”, it is not deliberately crossed out, which has as coauthors Clovis de Barros Filho, Oswaldo Giacóia Junior, Viviane Mosé and Eduarda La Rocque, prefaced by none other than Mario Sérgio Cortella. Every book is interesting, but I would like to highlight the chapter by Eduarda La Roque, who, in addition to clearly proposing a third way (in this almost impossible election), begins by citing Aldous Huxley’s Brave New World: “the immediate future should resemble the immediate past , in which the rapid technological changes observed in a mass-production economy and among a population predominantly lacking in possessions … “(Op. cit., Clovis et al., 2018, p.
It explains how the third way sees the fight against inequality, proposes using Michel Porter, an alternative measure to GDP that would be the Index of Social Progress (IPS), only explaining different from the HDI (Human Development) because it predicts the sustainability of progress in more regions poor, and reaches the point we consider central: The Information Qualification Center. In its own definition. “Is an autonomous institution of civil society that seeks to bring together and articulate different knowledge of society, in a democratic and direct way, without the predominance of one knowledge or sector over the other, trying to converge the patterns, interests, now so fragmented society … “(Roque In Clovis et al., 2018, pp. 107-108). He proposes public governance and citing José Padilha notes that “most Brazilian public institutions develop informal organizational cultures that trivialize corruption and turn it into a habit.” (Ibid., P. 117) It cites the state’s gigantism (it does not defend the minimal state), affirming “the public sector that takes more than 40% of GDP becomes so big and powerful that it chooses winners and buys civil society, in a process very well described by Saramago in The Island of the Unknown “(ibid., Pp. 117-118). 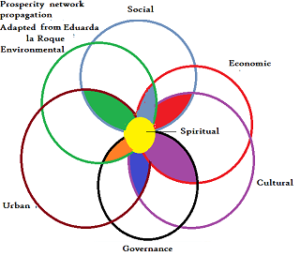 The model that is described as a mandala centered on human development, would add to this model only the spiritual aspect, already described in many letters on transdisciplinarity, such as the Arrábida Letter and by authors like Byung-Chull Han and Edgar Morin. The idea is a network of propagation to prosperity, would call a virtuous circle that interrupts the circle of more concentration and more corruption of the modern state, and which the author describes as the flower of life: “concentrated in its petals the congruence of projects of greater human capital with three other capitals, that is, they would be the projects of greatest shared value … for society “(Clovis et al., 2018, pp. 129-130). It adds that “the seven capitals can be represented through the vertices of the triangles of 17 sustainable development goals (GDSs)”, there is a detailed version in the United Nations Information Center in Brazil. Utopia, may be, Thomas Morus coined word provided for the Utopus Kingdom, who knows a country is not “lying forever in cradle expended”, finally there is a 3rd. via. CLOVIS, Barros Filho, Giacóia Jr, O.,Mosé, V. e La Rocque, E. Política que nós também não sabemos fazer, Petrópolis, Vozes Nobilis, 2018. “... the devil exists or not … and goes on to say … Well, the devil regulates his black state, in creatures, in women, in men, even in children,” I say. (…) And in the uses, in the plants, in the waters, in the earth, in the wind … Manure … The devil in the street, in the middle of the whirlpool ... ” (Rosa, 2001, 26). 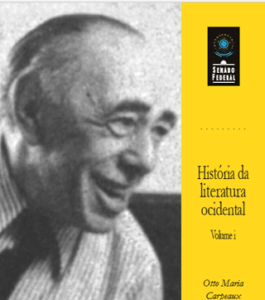 One could see Easter in the Brazilian oral tradition, but the novel is an exercise of orality in the midst of popular culture, like this crossing of a river, and we would find much significance not only for national culture, for politics, Guimarães Rosa, and a new time, where the passage means a “National Easter”, can you dream of it? 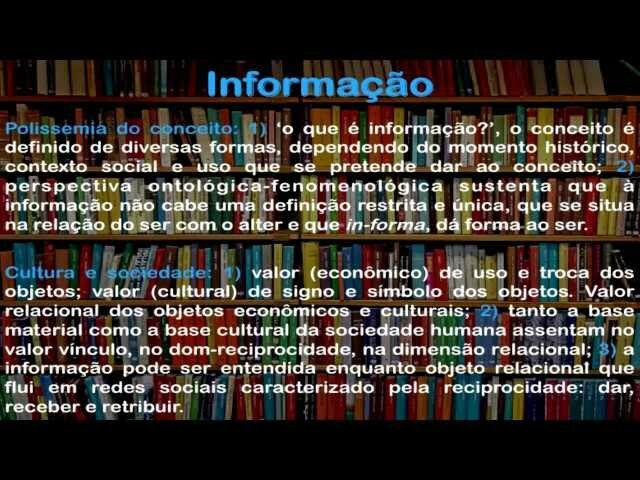 Interestingly, and even paradoxically, we may find the same concern in Petr Sloterdijk’s definition of the antropotechnics as proof that this is a national (in brazilian sense) and universal point. Sloterdijk clarifies by giving three dimensions of antropotechnical: the illusionist side, rigidly organized, in which the members must exercise, the psycho-technical side that is the training script to explore the struggle for survival, and the third, an ironic, radically flexible side for all, a kind of business-trainer (Sloterdijk, 2009, 168). The religious dimension, not that religious one in which one thinks of a reconnection of the beings and of these with God, considering and respecting the specificity and personality of each one, but that dogmatic one, owner of the truth (theme of our last week) and something “unscrupulous” . 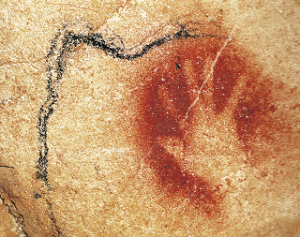 Anthropotechnics as an unveiling of being, is to discover these masks and manipulations that exist in all spheres of society, from religion to politics, from common sense to scientific, and that at bottom has nothing to do with being and not with any kind of humanism. Of course, everyone wants the integration of humanity, even Trump is going to speak to Korean, but the whole anthropoprofessional relationship is far from an onto-anthropotechnic, they use and abuse the post-truth, manipulate facts and narratives, from public lies to everyday lies . It is not possible for such an environment to awaken the human, the relationship of Being and humanism. ROSA, J. G. Grande Sertão: Veredas. Rio de Janeiro: Nova Fronteira, 2001. SLOTERDIJK, P. Du musst Dein Leben ändern. Über Antropotechnik (You have to change your life. About anthropotechnology). Frankfurt: Suhrkamp, 2009. The reflection of the symbolic evil done by the Frenchman Paul Ricoeur refers to the study of language and the use of hermeneutics to say what is the manifestation of evil in reality, it is not only violence, but essentially evil at different levels of reality. 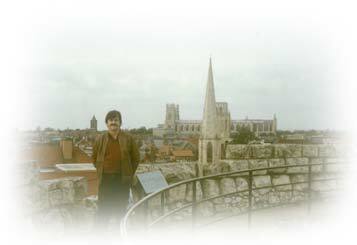 In exploring the symbolic function of evil, he resorted to primary myths such as the fall of Adam revealed in the need to recognize the symbol as a means of understanding reality, in the case of the Adamic myth, the three great monotheistic religions: Judaism, Islam, and Christianity . 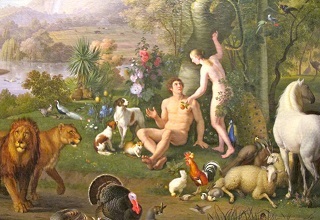 The idea present in the Adamic myth of the expulsion of paradise, and that this is due to the use of the “forbidden fruit” has already been sung in prose and verse in books (Eça de Queiroz wrote Adam and Eve in paradise), songs and even philosophical treatises as Paul Ricoeur does today, but the incomprehension of this presents in the “being” or in the spheres of immunology as Petr Sloterdijk, seem to ignore the concepts of “value” and “wealth” as Edgar Morin and Patrick Viveret want (Living in crisis times). Far from apocalyptic appeals, it is necessary to understand the complexity of the current course of human history, rather it is a crisis with deep aspects, but it is those moments in which a great upset is announced, in our view the “ontological turn”, a deep roots change in our being, and this has nothing liquid and will be quite solid. Humanity has already made great leaps in the periods of the great civilizations of the East: the Persians, the Babylonians and the Egyptians, but in the Latin American civilizations: Aztecs, Incas and Mayans. These civilizations have fallen, but others have followed in different ways, what seems false is the developmentalist paradigm, for although it is unknown the human is prevalent, we have done much in the period of modernity, but its idealizations of Individual, State and individual property seems to be false, does not necessarily mean a way out of the socialist model, but will certainly mean some collective output, the individual being-there seems to be do-ente, and something more present in the ethical being-with-other relationship seems a viable path, relationships and solidarity. Orthasty was first staged in 458 BCE, and was the first-prize winner at the Athens Dionysiac festivals, although it was written by Aeschylus, it is unknown and unappreciated today. Tragedy is associated in our day, not by accident, pains, catastrophes, something where there are many victims, or even the unfolding of some violent action like a murder, a war or a serious natural accident, for the Greeks was something else. Tragikós defined an innovative artistic form, or something that only occurred between the great events that changed the history. in Aristotle’s view, one of the first to study the impact of theatrical spectacles, the tragedy would be “an imitation of a serious, concrete action of a certain magnitude, represented but not narrated, provocative of Katarsis, catharsis, which is the purging of the emotions of the spectators. Orthasty, of Aeschylus is therefore a great representative of this modality of theater, the play can be divided into three parts: in the first Agamenon shows the return of this character of the Trojan War, where he succeeded in killing his own daughter, Iphigenia, in sacrifice to the gods, but this is not well received by the mother Clytemnestra who wants to avenge the death of the daughter with the help of the Aegisthus lover. 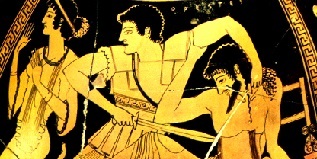 In the second part Coéforas, narrates the return of Orestes, son of Agamênon, directed by the god Apollo, to avenge the death of the father, he is helped by its sister, Electra, that was maintained like servant in the attic of the castle by its mother, Clytemnestra And in the third part, Eumenides, brings the wrath of Clytemnestra, already dead, materialized in the Furies, which are seen only by Orestes and responsible for its madness. It also narrates the judgment of the crime of Orestes: the murder of the own mother, that will be analyzed by the goddess Athena. Although the complex of Electra, which is not properly the love of children by the mother, but the desire of matricide observed in macho societies, the problem is actually justice and politics represented by the goddess Athena, proclaims a court to to judge the murder committed by Orestes, and it will be instituted forever, but the question that remains is why do gods need sacrifices? We tried to respond in the next post.